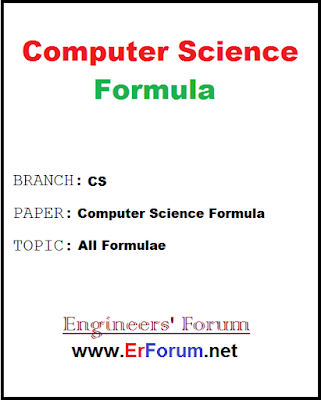 This Computer Science formula book is very helpful for GATE, PSUs and other Competitive exams. This book contains all formulas of Computer Science Engineering. Most of you are focused to read theoretical computer Science but Besides Theoretical computer Science formulas are very very important to score in any exams particularly where numerical questions are asked whether it is university/semester exam or any competitive exams. So here in this post, we are sharing you this book in PDF format. Download ebook from below link and score well in the exam. We highly recommend candidates to buy this book.